Bought Plum + Black 3X. Perfect Tunic + Dress lengths. Amazing fabric, no iron after packing. Love the unique style. Love this dress fits and feels like liquid silk. I paired it with my legging and the plum matches as if l bought them to gather. As dress define as a tunic heavenly. Will you bring them back again l did not get the other two colors cause got in to late. Blue and black were gone. Love these first time buyer but it won,t be my last. This is a great dress that turns into a tunic. It has a flattering fit that hides what you want to hide. It packs well and doesn't wrinkle. Very handy for traveling. A complement grabber. I want more of them but you are out of the colors I want. Please bring this back in more sizes and more colors. This is actually my second purchase of this dress. I originally purchased the yellow but after wearing it, I knew I had to hurry and get another color. The fit is wonderful. I am in between sizes and ordered the smaller size, glad I did, the fit was perfect! 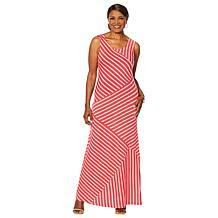 It runs true to size but because of the draping around the hip area, the smaller size hangs better. I wore it with shooties and patterned tights. The dress is a winner and suitable for many occasions. Definitely a winner!